Bring your dog to chill for the day in our comfy suites. We can tell from the way that they wag their tails and eagerly tug on their leashes upon entering the Petz Plaza lobby for morning drop-off that dogs adore us. Our day boarding service offers a compelling reason for their owners to love us, too. ​Day boarding at Petz Plaza offers a unique solution for pet owners who need somewhere safe and comfortable for their dog to stay on days when work or busy schedules keep them away from their trusty companion. 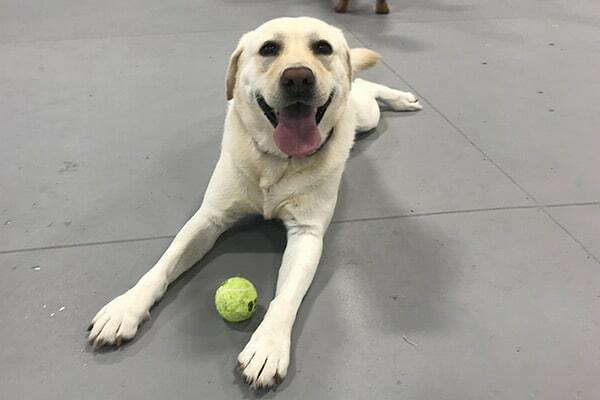 This service is ideal for dogs that do not socialize well with other animals, where a group play situation would not be recommended, or for pups that are not spayed/neutered. Dogs who check in for our day boarding service are treated to a stay in a luxury suite (flat screen TV's tuned in to animal friendly programming are available in some suites) and are given three walks plus a fifteen minute one-on-one playtime with a dedicated, professional Petz Plaza staff member.